As the mist rises to meet dusk from the valley 2000 metres below, we’re sitting in “The Crow’s Nest”, as I’ve dubbed our room in the Dekeling Hotel. Although I doubt any crow would be panting as much as I am when I finally sink into the comfortable wicker chair of our hotel room. 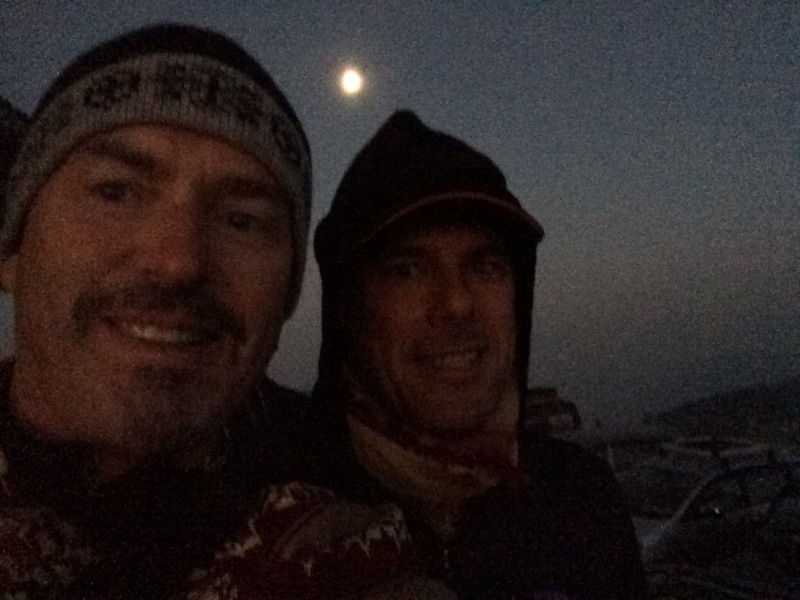 No, I’m not unfit … the air is thin in the Himalayas. Well, that’s my excuse; not the biriyanis, tandoori chicken or Kingfisher beer my stomach is lugging up the 103 steps to our crow’s nest perch over Darjeeling township. This morning’s start was too early and way too cold. 4.30am is not my idea of a holiday starting time. It was one of those “get up before sunrise, drive 30 minutes in the dark, hike through the mist and marvel at the sunrise” experiences. I’ve done these tourist traps before, and 50% of the time you wish you were still in bed when the sun actually fails to rise due to cloud, rain or both. And at 1C, I was realising that my jeans, t-shirt, jacket and baseball cap were clearly not enough; I wanted to jump right back under my hotel’s sheet, doona, polarfleece blanket and wool bedcover. Well, it was worth it. This was demonstrated by the applause of approximately a few thousand Indian tourists who had also broken their sleep. How often does a sunrise get a standing ovation? Perhaps it was the sun reflecting off the Himalayas that did it. Okay, it might not sound interesting, but picture the mist clearing as the sun suddenly warms the air. 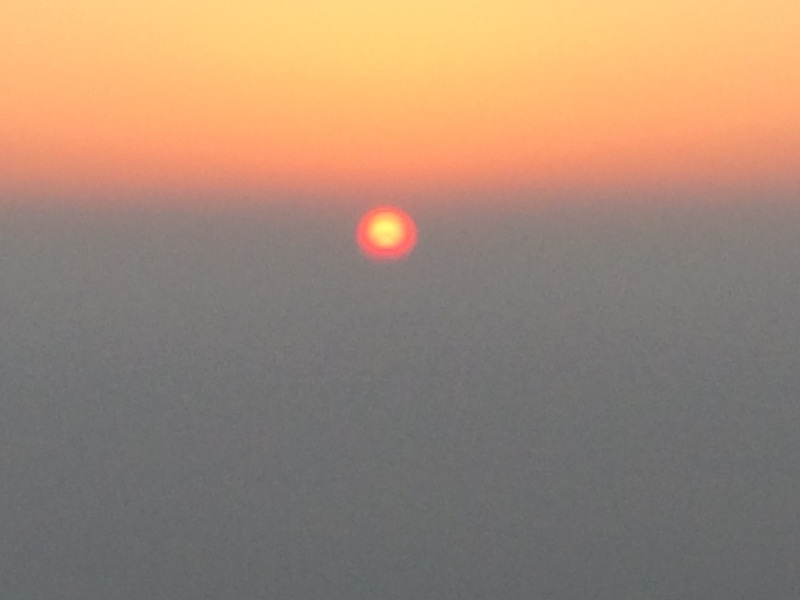 Initially, the big red ball of the sun above the clouds, then the reflections off the snow-capped peaks of the Himalayas. The world’s highest mountains miraculously revealed as the sun warms daybreak. 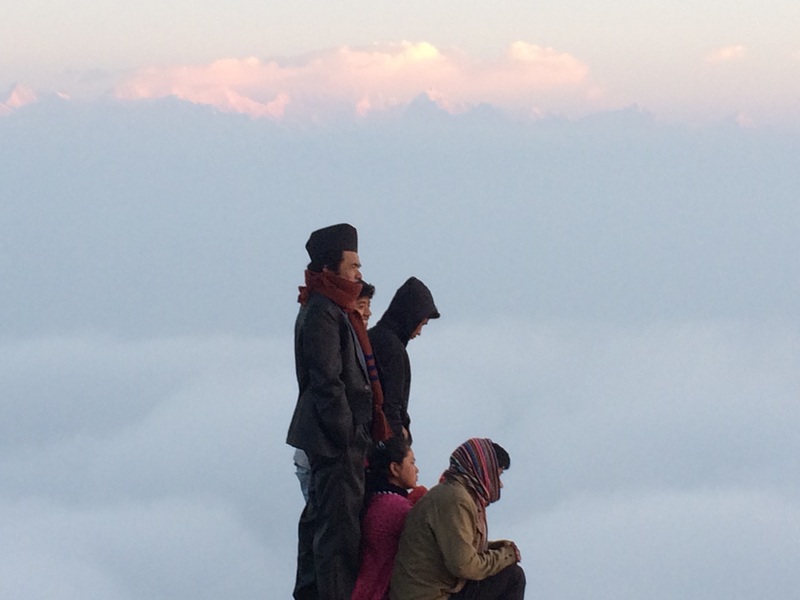 The snowy peaks of the Himalayas suddenly pink in hue. It was a only a vista for a minute, before the cold of the morning took hold and the Himalayas were once again engulfed in cloud. We haven’t explored our mountain locale only by foot. 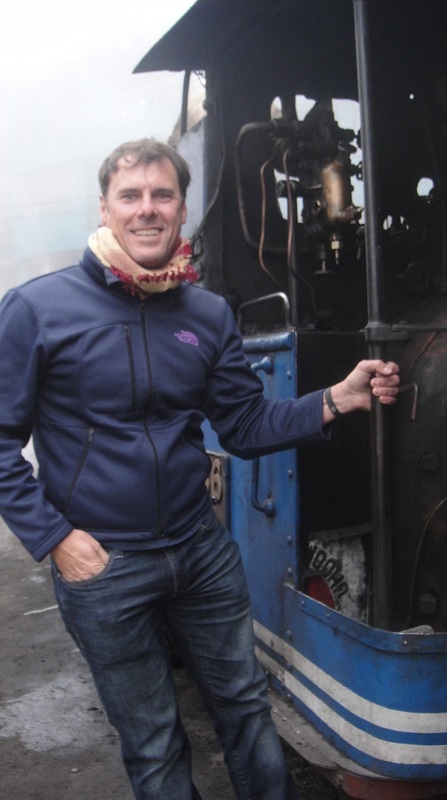 Yesterday we took the DHR (Darjeeling Himalayan Railway) – a steam train named “Mountaineer” that toured us around the edge of the mountains to an adjacent hilltop town called Ghum. A bit of a touristy thing to do, but the ‘technical’ delay of one hour whet my appetite. The engine was a doppelgänger for Thomas The Tank Engine, right down to Thomas’ blue and polished brass. The resemblance stops there. Our Fat Controller was not top hat and tails, more stained, with a fag hanging from his mouth, and an ability to expel quite a lot of phlegm. Oh, we did the Zoo as well. Apparently the best Zoo in India, according to Trip Advisor. It was good. 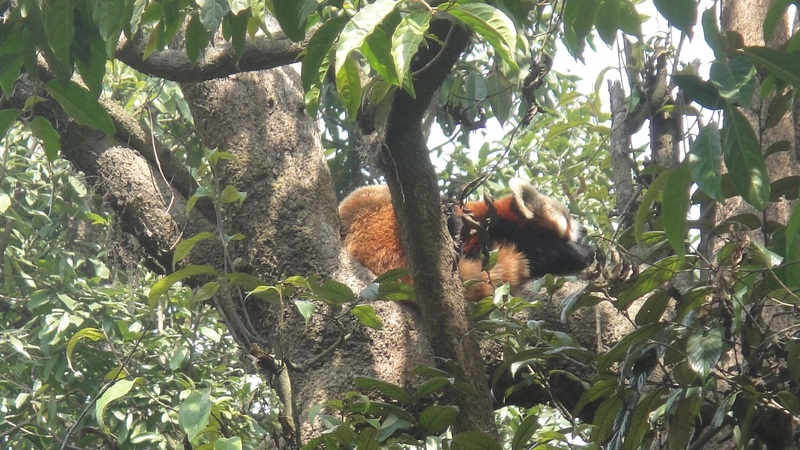 Tigers, snow leopards and red pandas (high in the cute stakes!). The Zoo also featured The Himalayan Mountaineering Institute. 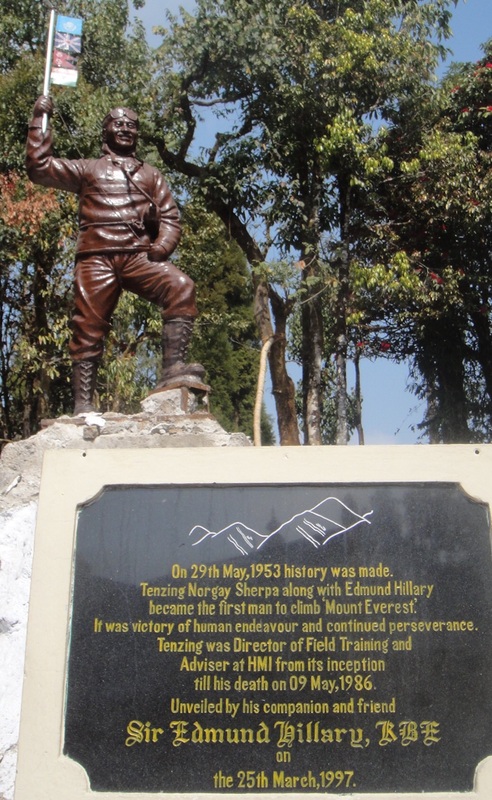 Darjeeling is the home of Tenzing Norgay. Remember him? He was the Sherpa who was first to climb Mount Everest. 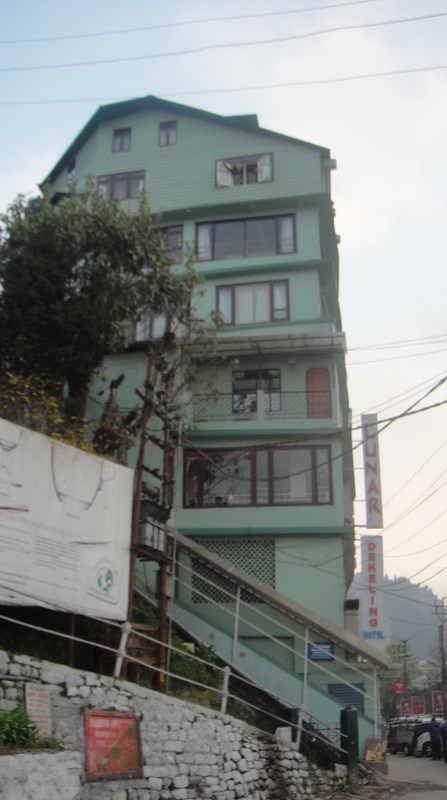 He resided in Darjeeling and in fact, this is where that history-making climb began. As is fitting, Sir Edmund Hillary is supporting cast in this town. Barely cracks a mention in the exhibits. But then, who do you think did most of the hard yards: the Sherpa, or the Sir? This entry was posted in India and tagged Darjeeling, Darjeeling Himalayan Railway, Himalayas, HMI, Toy Train. Bookmark the permalink. 3 Responses to Crow’s Nest.